The Poison Arrows of "Sha Qi"
"Sha Qi" - is a negative energy that you absolutely do not need. It's pernicious breath is destroying everything in it's path. 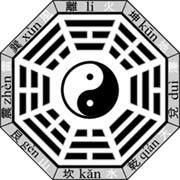 "Sha" energy - is a complete contrast to the beneficial "Qi" energy. Where the "S ha" energy settles, normal life is impossible, all the time you will be bothered with the problems, arguments, lack of money, terrible personal relationships, in other words, you will be accompanied by a series of misfortunes and conflicts. The origin of "Sha Qi" comes from the acute angles. Any acute angle directed towards your home, any road that is "cutting" your house, sharp roof a nearby building - all that is cutting your home, if you continue the invisible line - creates this pernicious arrow of "Sha". It is no accident, that in China the garden sidewalks are always designed in the form of a winding path. Here you may say, so what! What some sharp roof or road my do to me? Of course, the roof by itself will bring you no harm, it only determines the form of a bad energy. Remember about the beneficent power of the "Qi" energy, which nourishes everything, animate and inanimate. Here it will be the same case. If the object has a sharp or wrong corners, the harmony is destroyed and the object begins to emit a bad energy, this energy is called "Sha". Visually, we do not notice these variations, and sometimes we do not even think that the "Qi" energy, that we collect, is distorted. Just at some point we feel differently both physically and mentally. It seems that our powers are not enough for anything. Did you ever feel this way? And all this because the sharp corners are able to pump our energy, to change it's polarity, and all our energies are finally spent not on the maintenance of an important processes in the body, but on the resistance to the poisonous energy. Sha has a bad influence not only on our health but also on our career. Please pay attention to it, if you want to succeed and prosper. Finding such adverse structures, you must take appropriate security measures. From a straight road or the angle of the adjacent building, which are aimed at your house, you can protect yourself with some green plants (for example, a number of green bushes). If you live in a city apartment, put on the windowsill as many flowers as you can, green plants will take the "blow". It will be good, if you can have one cactus between your "green soldiers", the cactus's spines can protect you from the harmful energies. If there is a tree, growing right in front of the house, it is also not a good sign. It is believed that it takes away the luck of the whole family. It would be the best if you can just take it away, but if this is impossible - do not fall in despair! Hang on your door a protective "Ba-Gua" mirror, which will protect you and your family. This mirror you can buy almost from any Feng Shui store. And also there is one very simple and traditional way - you can hang on your door "The Wind Music" or a set of air-bells. This Feng Shui charm with it's melodious sounds is destroying the bad energy, and producing the beneficial one.